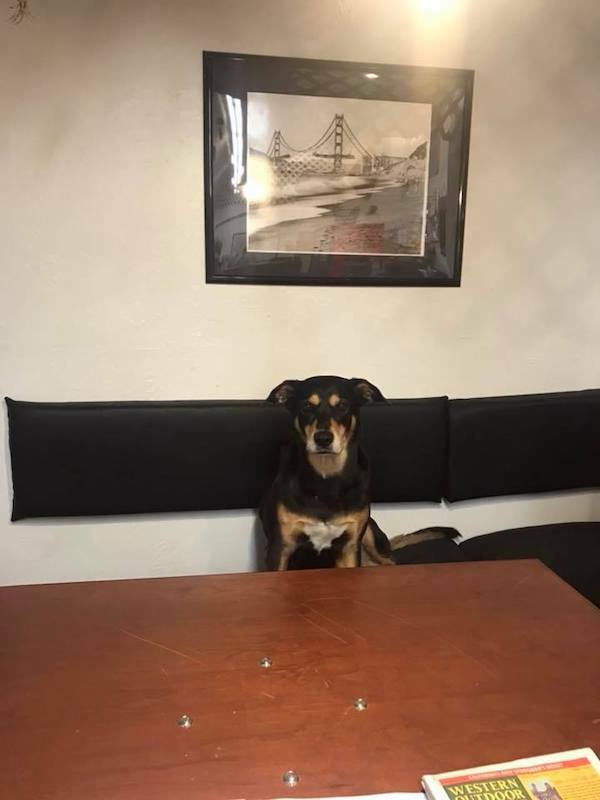 Captain Jay checked in today. 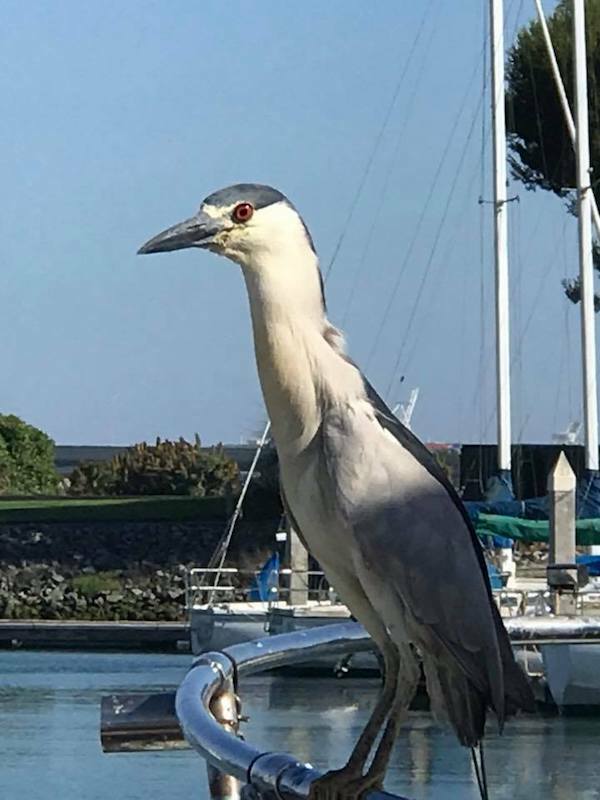 The New Huck Finn is out with a nice charter fishing a bay-only trip so I have some time to make a report for this last week that I have been neglecting my responsibilities about. 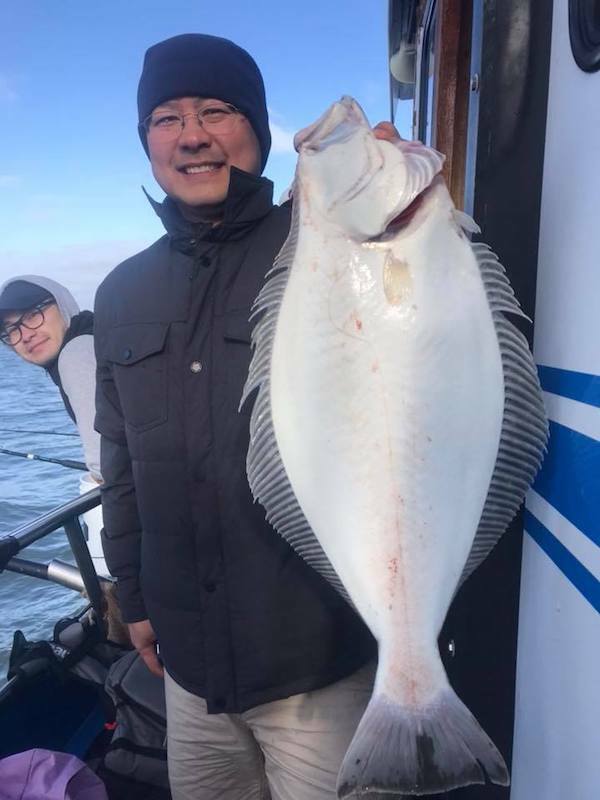 I’ll start on Tuesday June 12 we had 16 anglers and they caught 17 halibut and 12 striped bass with Captain Dave running the boat. 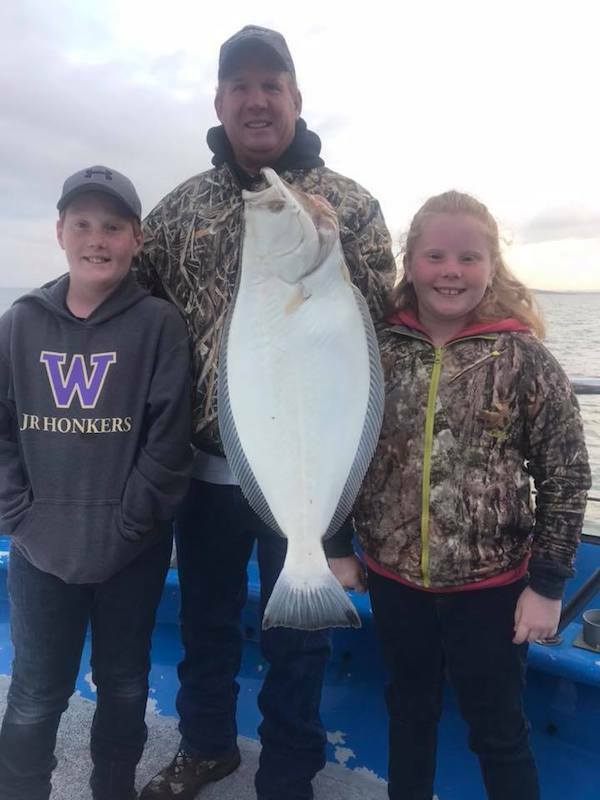 Wednesday, June 13 Captain Dave was back at the wheel with 27 anglers and they caught 13 halibut and two striped bass to end their day. Thursday, June 14 I was back at the helm with 31 anglers and they caught 16 halibut and nine striped bass to end the day. Friday, June 15 we had a charter with 12 anglers and we started fishing inside the bay. Conditions were tough with a minus tides and our 12 anglers caught 2 halibut, 8 lingcod, and 1/2 limits of rockfish. 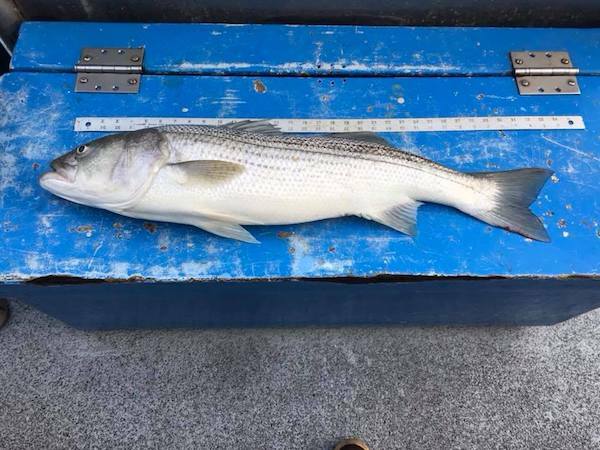 Saturday, June 16 we had an open load with 31 anglers and they caught one halibut, three striped bass, 35 lingcod, and 210 rockfish. 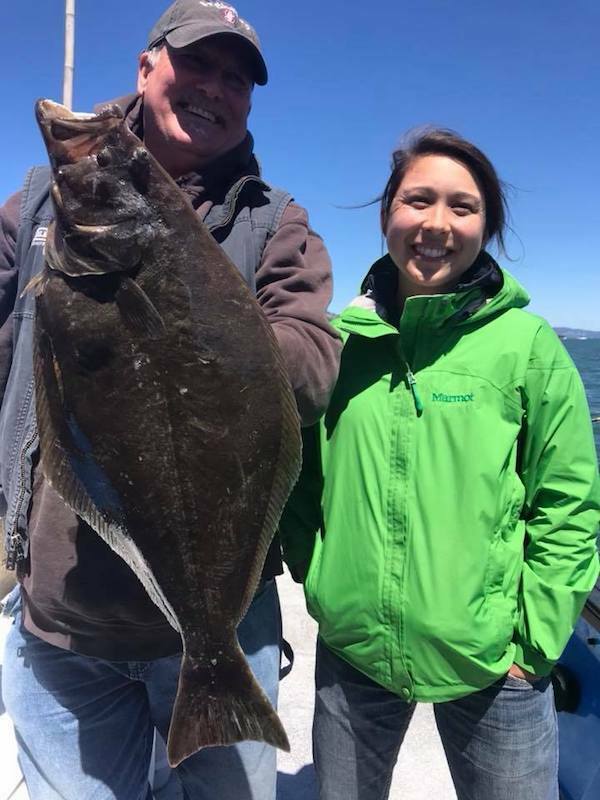 Sunday, June 17 we had another open load with 32 anglers and they caught three halibut, one striped bass, 10 lingcod and 224 rockfish.